Funny how things go. Sometimes I get a lot of page views and a few comments or a few views and lots of comments. “Walls” prompted a number of both. Here’s some more short fiction for this week. Laura thought of the wedding they’d attended an hour or so ago before wandering down the hill for a little solitude. “Shoot, anybody who knew that couple coulda told you how it was with them two years back.” Laura wished he’d notice her new frock. She cast a blue eye at him. “Just because she got there before he did, doesn’t mean he was the lead ox,” silently adding. Just the ox. The whole countryside knew Maggie set her cap for Charlie before they got out of high school. Course, Charlie almost didn’t make it out of school. Probably wouldn’t have if he hadn’t played football. 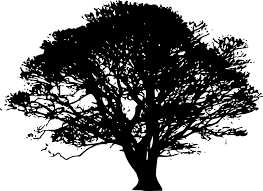 Laura leaned against the tree beside him and rested her head in the crook of his arm. Would the dolt ever get around to it, or would she have to give him a shove? Well, that was that. He was off and running in a different direction now. No telling when she’d get him back on the subject. Wait for another wedding? They were running out of marriageable friends. A little change of pace from last week, don’t you think? Hope you enjoyed that idyllic slice of life. Don’t forget that The Lovely Pines came out last week. Hope you’ll get a copy of the book and read it. If so, please give me feedback.